Manage your customer orders from start to finish without paper! Orders2GO allows your business to create customer orders, pick and pack them in the warehouse, then deliver and capture the customers signature all from your favorite mobile device or smart phone. View the status of work orders in real time. Integrate with existing dispatch systems to reduce paper work orders or use 2GO Software’s online portal for work order creation and dispatching to your field technicians. What do electronic receipts and paperless systems mean for enterprises? Companies are consuming less resources with electronic receipts and the costs are significantly less then purchasing paper. 2GO Software provides mobile software solutions for employees that require access to their company data while in the field. Our applications are designed to be simple and easy to use yet still increase productivity while reducing the consumption of paper. Our areas of focus include field force automation of work-orders, field sales automation and order management, proof of and direct store delivery, and field surveys. Additionally we offer a number of services to application developers that wish to add features to their applications such as electronic receipts or mobile payments. Running your business should be your most important priority, not managing technology. At 2GO Software we design our solutions to adapt to your business and offer real solutions with a clear return on investment. Regardless the size of your company, we offer solutions to fit your needs. Our customers are privately owned single location air-conditioning services with only 5 service trucks, boutique wine distributors with 10 field sales representatives, custom printing shops with 13 delivery vans, flooring companies with 40+ cleaning and installation vehicles, up to enterprise companies with 2000+ field employees. No matter what your budget is we have software products that will increase your productivity and cut your bottom line. All of our applications are “Software-As-A-Service” meaning you pay a monthly subscription instead of making a large investment and the software is maintained by our staff of engineers. Pricing starts as low as 8.00 per month per mobile device. Our products are mobile applications that can be installed onto your employee’s mobile phones such as Windows Mobile PDA’s, or Blackberry phones and then managed through an internet portal. These products include field service solutions that allow employees to update and fill work orders, mobile order management applications that allow a field sales representative to check stock of an inventory item and place orders from a mobile device, mobile warehouse applications that allow a warehouse employee to pick and pack an order, and proof of delivery applications that allow delivery drivers to capture a customer signature when an order is delivered. In addition to our products we offer web based services to application developers or IT departments who wish to extend their existing systems or are developing their own software applications and wish to add solutions such as electronic receipts, electronic order confirmations, or electronic payments. Companies that have employees who work in the field at a customer’s site and perform a service need to deploy a field service automation solution. Field service automation solutions allow a field technician to receive, update, and complete a work order using a cellular phone or PDA. The work orders are managed by a dispatch office through the internet or using the software that the company already has. Field service automation solutions will reduce your company expenses by lowering or reducing theft, validating that business rules are applied to billing practices, reducing fuel expenses from un-needed trips to the home office, and reducing or removing the expense of paper. In addition to reducing expenses field service solutions increase company productivity by increasing the amount of time that the technician is working instead of picking up paper work orders or filling out tickets, and eliminating the need to re-key information from a paper work order back into a software system. Companies that deploy field sales representatives need a mobile sales solution. Using a mobile sales application you can give your mobile sales representatives access to the data and applications they need whenever and wherever they need them. They can make informed decisions more quickly, win more customers, and close more deals. 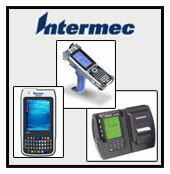 Increase sales productivity by providing access to critical customer and inventory data from a cellular phone or PDA. Distribution, Warehouse, and Delivery Organizations need to deploy a mobile order management and fulfillment solution to gain real-time insight into the status and tracking of their customer orders. A mobile order management application allows a field sales representative to check inventory levels, view the status of a customer order, or place an order from the customer site using a mobile phone or PDA. In the warehouse employees can use a mobile order management solution to validate the picking and packing process of a customer order. This process ensures quality through reduced errors in incorrect shipments of product. Delivery drivers can use a mobile order management solution to get directions to a customer location, verify the contents of the order at a customer site, and capture a customer signature digitally for proof-of-delivery, especially useful in direct store delivery industries. Remote survey solutions can be deployed in a multitude of different scenarios. In the consumer packaged goods (CPG) industry companies deploy account managers and field representatives who will travel to retail locations to inspect the display of their products on the shelves, they use remote survey solutions to answer questions about the condition of the display of their product on the shelves, the levels of inventory, the visibility of the product from key locations, and maybe even upload a digital picture as well using a cellular phone or PDA. Another use of mobile survey solutions would be a market data collection company who may ask consumers to answer a few short questions regarding a product or service they have used, or maybe even regarding political topic. These organizations would deploy employees into popular shopping centers or downtown intersections and use a cellular device or PDA to complete the survey while electronically uploading the results to a server and analysis. Our applications are categorized as either a product or a service. Our services are available to application developers or IT departments who wish to extend their existing systems or are developing their own software applications and wish to add solutions such as electronic receipts, electronic order confirmations, or electronic payments. 2GO Software applications use mobile technology to allow businesses to improve productivity and lower operational costs of their field employees. Our applications focus on verticals such as field services, field sales, and direct store delivery solutions. Please select a product link from the left to gain more information about a specific product or click here to contact a sales representative and discuss your business needs.